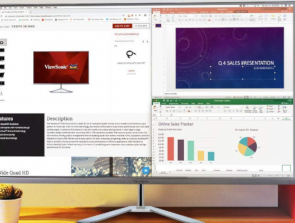 You’ve got the latest smartphone, a beastly laptop, and a state of the art tablet. How old is the backpack you’re carrying them around in each day though? Technology isn’t the only thing that’s evolving – modern backpacks are designed to not only transport your belongings from A to B, but to bring them there charged up and safe from both physical and cybernetic theft. It’s no secret that ordinary suitcases are becoming a rare sight as more travelers & professionals are embracing backpacks as the more convenient alternative. Smart backpacks go a step further since they were designed with our portable devices in mind. It’s become inconceivable to leave home without them, so smart backpacks give you peace of mind and allow you to take in the sights instead of nervously glancing over your shoulder at your bag all the time. There are quite a few smart backpacks out there and picking the most reliable & versatile ones wasn’t easy. After a lot of research, we’ve narrowed the list down to six backpacks that complement the modern lifestyle of a tech-savvy person the best. Affordable, good capacity, USB port is easy to get to. Large capacity, TSA-approved, and lots of compartments. Well built & comfortable. Effective cable management. Work requires that many of us carry smartphones, tablets, and laptops with us at all times. It’s a pain which only gets worse if they happen to die at the worst possible moment. The Energi Pro Power is a smart backpack you’ll want to grab immediately if this has happened to you a few times too many. It comes with a huge power bank that can fully charge three demanding devices at once and still have juice left over for emergencies. It’s a well put-together backpack both from a conventional standpoint and because of its smart features, making it an easy pick for our top choice. The Pro Power is a handsome, modern backpack that manages to look elegant while remaining clean. Its grey exterior is pleasant to the touch and made from water-resistant polyester. The thing that stands out most about its exterior design is the thickly-padded shoulder straps. We don’t think we’ve ever seen padding as generous or as comfortable as even at full load the backpack is more than manageable. There are twelve pockets and compartments in total, most of which are small and can be accessed from the outside. For instance, there’s a zippered pocket at the top for your sunglasses that’s divided in two so it can accommodate a cellphone as well. Inside there’s another zippered pocket that offers protection for your RFID cards and valuables. You’ll find similar compartments and pouches with either zippers or magnets throughout its exterior as well as a piece of mesh that lets you secure the Energi Pro Power to a suitcase. Its insides are almost as thickly padded as the straps and contain a separate sleeve for a laptop up to 15 inches in diameter. Your laptop is secured with a Velcro strap and rests against a mesh pocket useful for keeping notebooks or thinner accessories. This part zips up separately allowing for smoother TSA inspections. The multi-functional design philosophy applies to the main section too. Apart from lots of space for clothing or books, there are a number of pockets that hold smaller items in place. All of these make the Energi Pro power an exceptionally well-built backpack. What makes it smart though is the gigantic 20,100mAh power bank capable of fully charging any three devices you plug into it. There’s a standard USB port along with USB-C and Qualcomm Quick Charge 3.0 so the newest devices can take full advantage of their rapid charging features. The power bank has its own compartment and can be easily removed from it. 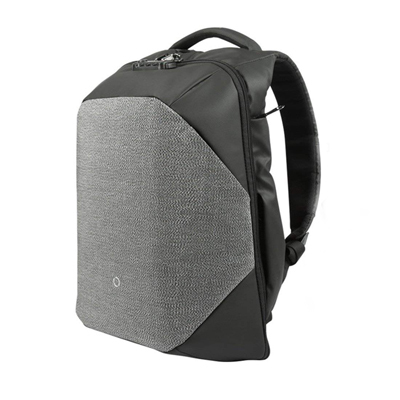 Other parts of the interior have strategically placed holes in them so devices can be stored practically anywhere inside the backpack and be protected while charging. On the backpack itself? Practically nothing! We do hope that Tylt adds more color options though as the single light gray color scheme may not be to everyone’s taste. A hectic modern lifestyle requires a backpack which can keep up with you, Yorepek’s travel laptop backpack is one of the biggest & most versatile ones we’ve encountered. It has room enough for a few changes of clothes while still being TSA friendly. It’s built to last and resist theft. It can act as your school bag, a travel backpack, or a fashionable bag for your gym clothes. Best of all, it has a dedicated laptop compartment and USB charging port. Yorepek’s backpack is made from robust polyester that will keep your belongings both secure and dry. The back is generously padded and ensures a correct posture is maintained. 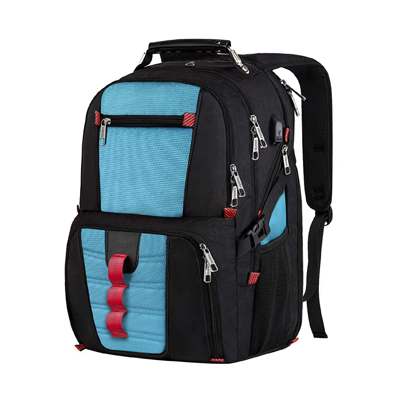 The straps are both thick and wide, helping to distribute weight evenly and comfortably. Another factor that aids weight distribution is the Yorepek’s internal organization. A dedicated laptop compartment can house a 17-inch device and keeps it close to your back. Then there are two massive sections used for storing any manner of large or bulky objects like clothes, schoolbooks, etc. These can be opened at either 90- or 180-degree angles so their contents can be examined faster, making airport checks less complicated. Exterior compartments include two zippered accessory pockets, a side pocket for items you need quick access to, and two mesh pockets that can fit smaller umbrellas or water bottles of all sizes. All the zippers are secure and made of metal, as is the robust top handle. A USB port is conveniently located on the Yorepek’s side, and there’s a hole for a headphone cord on its top so you can listen to music while your smartphone or iPod is snug inside the backpack. While the backpack is advertised as being able to hold a 17-inch laptop, that’s only partially true. If your laptop is thick, it may not fit. Also, some of the front zippers have been known to snag and get stuck. When you’re carrying around thousands of dollars’ worth of tech, you want to be confident that it is well protected. Keeping your things as safe as can be is the main focus of the ClickPack Pro, but by far not its only stellar feature. 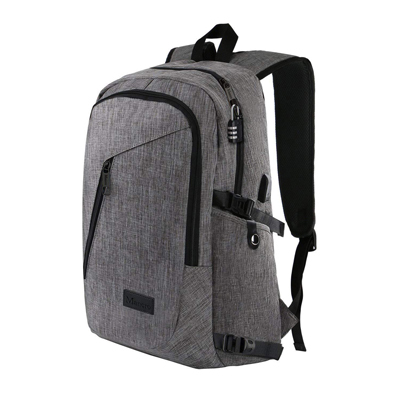 This is a well-designed backpack made from premium materials which sports modern aesthetics, a host of security features, and great overall functionality. Its universal appeal makes the ClickPack Pro an accessible favorite regardless of gender and season. The ClickPack Pro’s modern, minimalistic design is as functional as it is beautiful. The two-toned outer shell is made out of a slash-proof fabric that thieves will find impossible to get through while strong YKK zippers make sure that everything is closed off tightly. The backpack can survive a light drizzle unscathed. For anything more serious there’s an included cover that easily folds out and wraps around it. The interior is luxuriously padded and well-organized. You can open the ClickPack Pro up a full 180 degrees to expose its contents and get past airport security quicker too. The part closer to your back is the dedicated tech section with pouches reserved for a 15-inch laptop and 12-inch tablet along with their accessories. There’s also room for a power bank. On its outside, there’s a hidden pocket for storing smaller valuables you still want to access frequently. The half closer to the outer shell has room for a change of clothes, a water bottle, and some toiletries. We were especially impressed by the backpack’s more heavy-duty security features. It has a small RFID bag you can place your wallet into without fear of bumping, a robust TSA lock no one will be able to tamper with unnoticed, and a metal cable. The cable is especially useful as you can wrap it around a pole or table leg and secure it to the lock, ensuring that the backpack will remain where you last placed it even if left unattended. The ClickPack Pro has a USB charging port which is placed on the back and can be hard to get to at times. Other than that, there’s nothing major to complain about, except maybe the size. At a capacity of 17.3L the backpack is perfect for everyday use or an overnight stay, but you’ll want to go with something bigger for extended trips. As wonderful as modern technology is, its impact on the environment is negative more often than not. Voltaic Systems, a company famous for developing efficient solar panels, has made a backpack which it hopes will shift the balance just a tiny bit in nature’s favor. 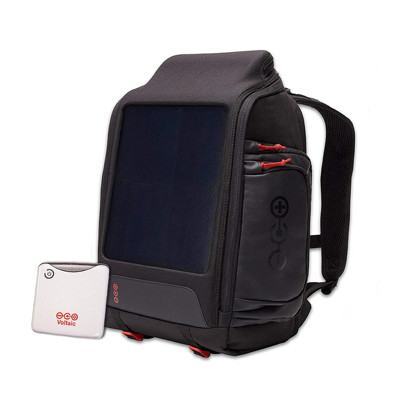 The OffGrid is a clamshell beauty which packs a solar charger, a high-capacity power bank, and has room enough for various pieces of tech gear including a 15-inch laptop. Voltaic Systems is an eco-friendly company through and through, which is something that is reflected in many areas of the OffGrid’s design. For one thing, the backpack’s shell is made out of materials gained by recycling discarded plastic bottles. This makes it both sturdy and protects your belongings regardless of how little you put inside of it. On the back, there’s a prominent solar panel that acts as a backup power source and makes a real difference provided that the sunlight is bright enough. Its interior is relatively small yet functional. Photographers and people with many small yet bulky items to transport will find it a godsend as the layout accommodates bits & pieces of varying sizes whether in the compartment proper or in one of its numerous pockets. There’s no separate section for your laptop. Instead, there’s a sleeve a 15-inch laptop or 10-inch tablet can fit into securely. 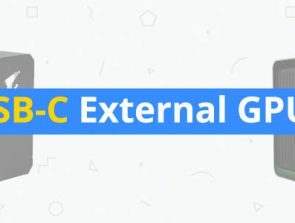 The rechargeable power bank can power two devices at once and stores enough energy for all your needs either from the panel or through a standard AC adapter. Speaking of which, the pack supports multiple adapters for various electronic devices so you can charge a smartphone, a handheld console, or a camera from the same source. To save time, pass-through charging is enabled. This allows you to charge the battery and a gadget simultaneously. The OffGrid’s hard exterior has proven to be somewhat divisive. Some people prefer it since items inside don’t get squished and are equally protected even when the backpack is nearly empty. Others find it to be bulky and to take up too much space. Most smart backpacks have a USB port for charging your tech, but what if you’re out in the wild and there’s no outlet in sight? It’s a good idea to always carry a power bank with you, and while there are backpacks out there that have a compartment for it, not many supply their own. 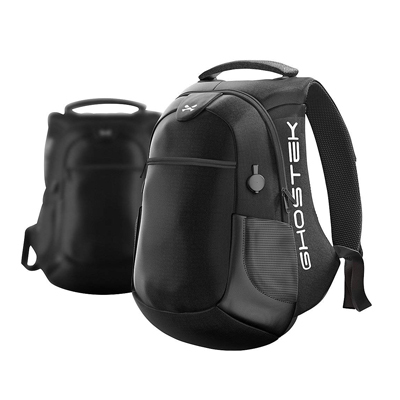 Enter Ghostek’s NRGbag 2, a backpack that packs a massive 16,000mAh Li-ion battery inside its spacious & improved shell. The second version of the NRGbag has some definite improvements over its predecessor. For one thing, it now has a spacious bottom and its compartments are balanced so that it won’t fall over towards the front as easily. The shoulder straps are wider and feel more comfortable when you’re pushing the bag’s 40L weight limit. Its outer shell is still made from the same eco-friendly water-repellent polyester and available in multiple fun designs. The interior has a dedicated laptop section that can fit any 15-inch model. There’s also a larger area that has been split into two sections by a divider. The back of this space, as well as the divider, have multiple pockets that will fit your phone or smaller accessories, while the space itself is still large enough to hold textbooks or an item or two of clothing. The NRGbag’s main feature is its 16,000 mAh power bank that has more than double the juice than the earlier model. When fully charged, the power bank can recharge your phone or tablet multiple times and even fill up your laptop’s battery. There’s an external port you can plug the power bank into once it runs dry. As there’s so much power to work with, the NRGbag 2 comes with three USB charging ports, two of which are inside the bag for added security. You’ll never need to guess whether there’s any power left in the power bank as a light-up indicator on the right shoulder strap can tell you with a button press. 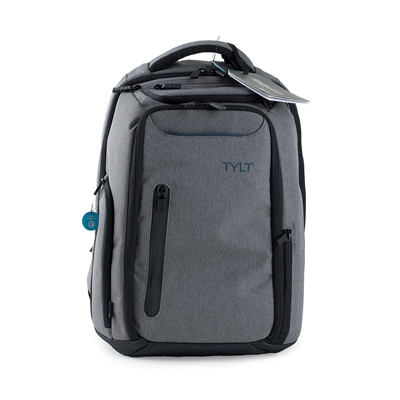 The NRGbag would have Given Tylt’s bag a run for its money if not for the fact that its charging port was messily stitched onto it. The port has a tendency to break off, leaving you with a power bank you can’t charge directly from the backpack. The interior pockets are a welcome addition but they are placed in an awkward way. Putting a T-shirt or anything that isn’t flat & thin into the bottom ones will close off the ones above, making them useless. Want a dependable backpack with an external USB port without having to spend a lot? The laptop backpack by Mancro is priced very reasonably while being better made than competitors in the same price range. It is spacious, has both smart & security features, and it looks great! What more could the budget-conscious tech traveler want? Judging by the quality of its make alone, you wouldn’t think that this backpack costs just around $30. The stitching is tight and orderly, nothing sticks out as being shabbily made, and the 900D nylon does a decent job of protecting your stuff from rain. We especially liked the small diagonal zippered pocket on the front. 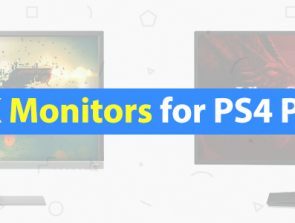 It gives you easy access to frequently used items while keeping them safe. Inside there’s ample room for a 16-inch laptop, pens, notebooks, chargers, and anything else you might need during the day. The laptop is secured with a strap and separated from other items with a padded divider. The interior ends with a thinner compartment complete with pockets for books, pens, and cellphones. All in all, there are enough storage options for you to be able to organize everything neatly. The backpack doesn’t come with a power bank, but it does have a section specifically designed for it, making charging from a power bank more convenient if you invest in one. An external USB port can be found on the right and is easily accessible. Given its price, the Mancro laptop backpack is understandably lacking in some areas. More specifically, comfort. Its shoulder straps are very thin and there’s no back padding whatsoever. This will do for carrying your laptop and books from class to class, but wearing the backpack for longer time periods may get uncomfortable.